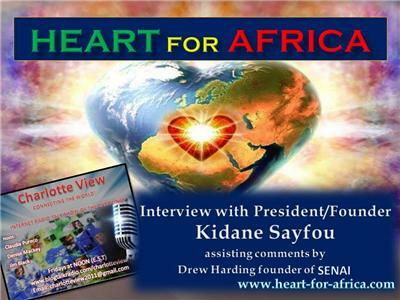 Charlotte View proudly brings to our show a charitable noble cause started by Kidane Sayfou, president of Heart for Africa. HEART FOR AFRICA is a special organization, committed to raise funds for projects in Africa. Their mission is to partner with events that saves this world and elevate the human race. 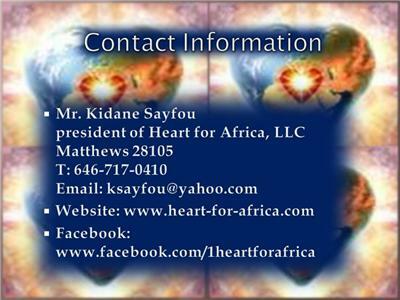 Heart for Africa, first event will be this may 19th, 2012. 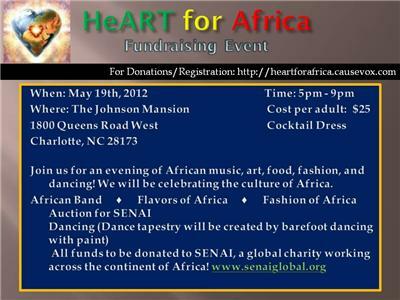 A celebration to benefit SENAI, will feature African food, music, dancing, art, a fashion show and an auction. 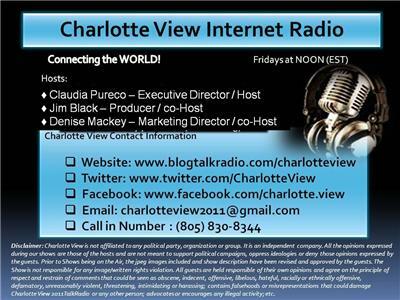 The event will take place May 19, from 5 to 10 p.m. at the Johnson Mansion, 1800 Queens Road West in Charlotte. 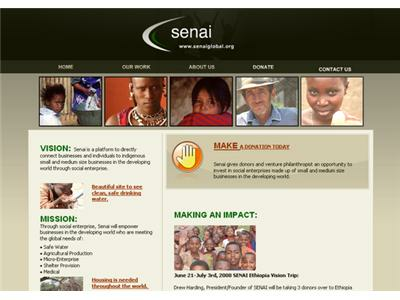 SENAI, currently headquartered in Charlotte, connects business leaders and resources with high impact projects, such as clean well water, orphan care, agriculture, shelter, medicine and micro-enterprise in countries such as Ethiopia, Rwanda and Burundi. Drew Harding, founder of SENAI, is the third generation of his family to serve in Africa. Harding, along with his wife and five daughters, will move to Cape Town, South Africa, in June to relocate SENAI's headquarters closer to strategic partners and projects. They will serve there for five years. The proceeds from the celebration will help facilitate this relocation from Charlotte to Cape Town.